Los Angeles is the largest city in California and the second-most populous city in the nation. With a population of more than 3.8 million people as of 2012, Los Angeles is the home to a wide variety of major industries, including entertainment, technology, international business, and fashion. However, the worldwide recession has caused Los Angeles to suffer high unemployment in recent years. After peaking at 13.8 percent in the 2010-2011 fiscal year, Los Angeles unemployment was measured at 12.2 percent in 2013. Unfortunately, when workers fear unemployment, employers sometimes try to take advantage of their employees. Whether through discrimination, wrongful termination, or simply withholding pay, employers may try to get away with unscrupulous behavior in a down economy. Workers who are victims of unlawful employer actions can suffer serious economic and emotional injuries. If you believe that your employer has acted unlawfully, consult a knowledgeable Los Angeles employment lawyer at Gallenberg PC. We understand what victims of unlawful actions in the workplace have gone through, and we will fight to protect your rights. Contact us today to schedule your confidential free phone intake. Or you can fill out our quick and easy online Case Evaluation Form; this is the fastest way to get your case screened by an attorney. We do not charge prospective clients for a confidential telephone intake or online case review. Employers in California must pay all eligible employees overtime, provide rest and meal breaks, and provide other benefits as required by California law. The wage and hour rules vary by industry, making for a complex system. If you are not sure whether your employer has provided you with the compensation and break time required by California law, seek the guidance of an experienced employment attorney. In addition to these wage and hour guidelines, it is against the law for an employer to discriminate against or unlawfully terminate an employee on the basis of age, race, gender, sexual orientation, disability, or other particular personal characteristics. It is also unlawful for an employer to refuse to hire a prospective employee on the basis of any of these factors. The legislature passed a powerful law, called the Fair Employment and Housing Act (FEHA), that employees may use to protect their rights. Employees who are the victims of their employers’ unlawful actions can rely on FEHA to recoup lost wages and seek compensation for their emotional distress. In some cases, employers may also be liable for punitive damages. In addition to FEHA, federal laws including Title VII of the Civil Rights Act of 1964 and the Americans with Disabilities Act protect workers in the United States in much the same way FEHA does under California law. In some circumstances it is possible for multiple employees or former employees to bring a class action lawsuit against their common employer if they have suffered similar grievances. This allows each person’s claim to be litigated simultaneously, which can save time and litigation costs. This mechanism is also available to groups of consumers who have all suffered similar wrongs at the hands of a corporation or other defendant due to a dangerous product, a financial scam, or false advertising. We represent both consumers and employees in their class action claims, and are prepared to litigate these cases all the way up until and including trial to secure the compensation you are owed. Being a victim of discrimination in the workplace can have disastrous effects on your financial well-being and emotional health. Submit your case for review to an experienced Los Angeles employment attorney at Gallenberg PC to protect your rights in the workplace today. We can also help if you, along with others, have been the victim of consumer fraud or an unsafe product. We will aggressively litigate your employment or class action lawsuit to seek damages for your financial and emotional injuries. 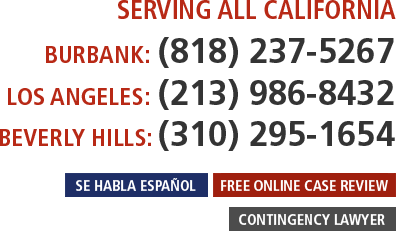 From our offices in Los Angeles and Beverly Hills, Gallenberg PC can provide you with the legal support you need. Fill out the case evaluation form to submit your case for our review or call us at (213) 986-8432 to schedule a free and confidential telephone intake. We look forward to hearing from you.